George is a tall and charming guy who has a penchant for adventure. Originally from Boston, George now resides in Indianapolis where he enjoys meeting up with friends over good food in the weekends. When he's not at work, expect to find George trekking some of the most beautiful mountains the world has to offer. 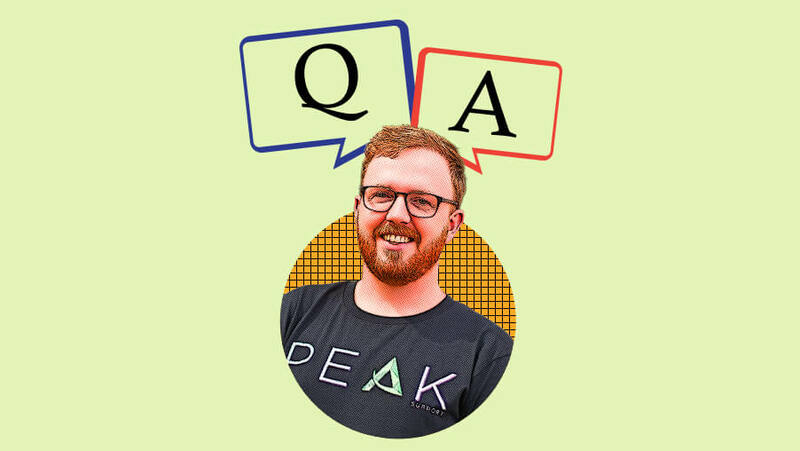 Learn more about George in this fun Peak Support Q&A blog. Name 5 things you do the moment you wake up in the morning. Coffee is life, check calendar, check emails, review yesterday's to-do list, and check in with the team. Complete the sentence. My dream vacation would be _____? What sport did you think you could do really well but failed at? If you could become an object for a whole month, what object would you be? The flagstick at Augusta National golf course #11 hole in April. When it's breezy, swing easy. When was the last time you laughed so hard? I was able to spend yesterday evening with a college friend, who I only see once or twice a year. We always have a great time together, so this happened to me just yesterday. We were laughing a lot, but in particular about our friend who had a tendency to sleep through classes, and even a couple of exams! Probably my friend Jason who is an airline pilot? What’s your favorite scene ever from a TV show? When Kevin spilled the chili on The Office. If you could become president for a day, what would be your first order? I have my grandfather's bolo tie, that I wear once per year at a family party. I would never get rid of that! What or who would you like to be reincarnated as? An Orca Whale. Would love to explore the deep blue sea! What did you buy with your first ever salary? My health and my loving family. What’s one surprising fact about yourself that most people don’t know about?